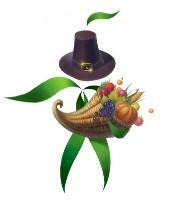 We’re celebrating the Canadian Thanksgiving holiday today – Happy Thanksgiving to our Canadian friends and supporters! In the spirit of giving thanks, we’ve written a lot about the importance of non-profits thanking their donors and supporters, but what about associations and other membership organizations? How are you giving thanks for your members? There have been a couple of interesting posts recently about the importance of keeping members feeling connected and the dangers of neglecting long-standing members. And since many organizations are ramping up for membership renewal planning for 2014, it’s certainly a timely topic. We miss you. That’s the message a community would send to one of its former members. So many associations have "Member Get a Member" campaigns, but I haven't seen one that has a "Member Get a Member Back" Campaign. We believe peer-peer outreach is good for recruitment, but not for retention. Really? I have a simiilar beef with cell phone companies (at least the ones here in Canada). They are constantly offering great deals to new recruits, but don’t want to offer any of these new services or upgraded phones to us long-time customers! No one ever checks in on existing cell phone customers until the contract is just about up. Is it the same with your members? Are you only reaching out and appreciating their membership when your member's renewal is coming due? While most associations devote enormous time and resources into recruiting and retaining up-and-coming members of their profession, don’t overlook your longest standing members. While many of them are in the final stages of their careers, mature members can be highly influential when it comes to recommending your association to others—making key introductions to industry suppliers, potential speakers, government organizations and academic institutions. Whatever you do, you don't want to ignore them. a photo of members around a table at an association event with an empty chair and a handwritten sign that says: Wish you were here. Is your association saying thanks to members old and new? Let us know in the comments below. Great post, Lori, it gave me a lot to think about. My organization, NTEN.org is having our yearly member appreciation month in November, which is our way of saying thanks to our members through a series of free programming, content, events, and giveaways for members throughout the month. I like having the designated time of year for acknowledgement, however, I agree with your point that it's good to keep acknowledging your member base at all stages of the member process (be it new, longtime, or in-between members) and not just at renewal time. Megan: Glad you liked the post and thanks for sharing some of the ways NTEN.org thanks your members.